Roman Rojas was recently interviewed by the largest Hispanic newspaper in New York City El Diario. 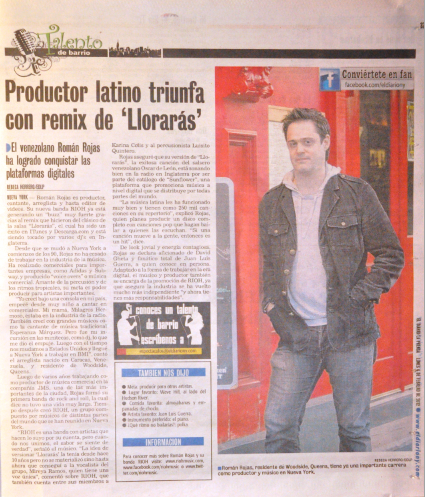 The interview centered around Roman’s career as a music producer and his band Rioh’s latest single “Lloraras”. The single is a re-recording of the classic 1970’s song by legendary musician Oscar D’Leon. The single has been released through the digital record company/music publisher Sunflower Entertainment.